Short but quick post today. I want to briefly give a few thoughts on how I like to write. 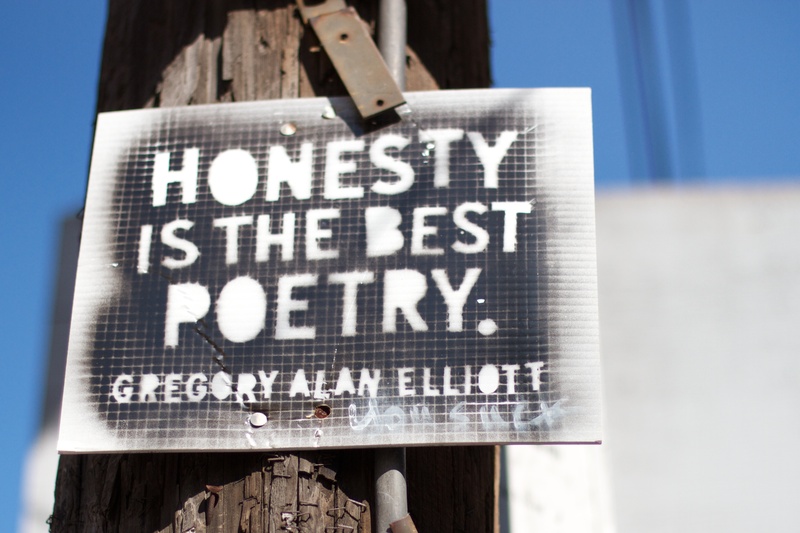 I’ve been experimenting with various styles as of late, with my first novel being a science fiction detective story and my second novel being far more of a comedic drama, but I always come back to the same thing: honesty. I’m not talking about the truth. The truth is, or can be, a weapon. It is something that can be wielded by bad men to do bad things. Truth can be twisted and distorted, but not honesty. I believe honesty can lie, but never deceive. If you tell a story from a place of honesty you can change every fact, but never the heart. You can not change the feeling behind each beat, each moment, and therefore you can tell a beautiful story without an ounce of truth to it. Time and time again, I come back to myself. My life and my experiences are my most fertile grounds for a story. My detective story didn’t change too much from when I first conceived of the story, yet my dad passed away a few months into my writing. It became a story about a father’s influence on his son. There were elements of that in the initial tale, but that is what took it over. The most potent, meaningful moments in the story come from my feelings about my dad. Not my experiences. I don’t relate what happened to my own father, but the feeling of a man when confronted with his dad dying was front and center in my mind as I wrote the book. So I would never tell someone to be dishonest in their writing. I’m not sure if there can ever be one single, pure rule for writing, as every rule can be broken by a master, but if there’s one I would prescribe, it would be to be honest. Not truthful. Honest. Write from a place within your heart. This entry was posted in Writing Articles. Bookmark the permalink.